The Financial Intelligence Analysis Unit informed Pilatus Bank shortcomings it had identified in terms of compliance with money laundering laws "no longer subsist". This emerges from a letter the FIAU sent to the Ta’ Xbiex-based bank last September and a copy of which has just been made available to this newspaper. The letter is dated September 26, 2016 and signed by the FIAU’s acting director. The director, Manfred Galdes, had resigned the month before, on August 1, and was succeeded by Kenneth Farrugia in February this year. 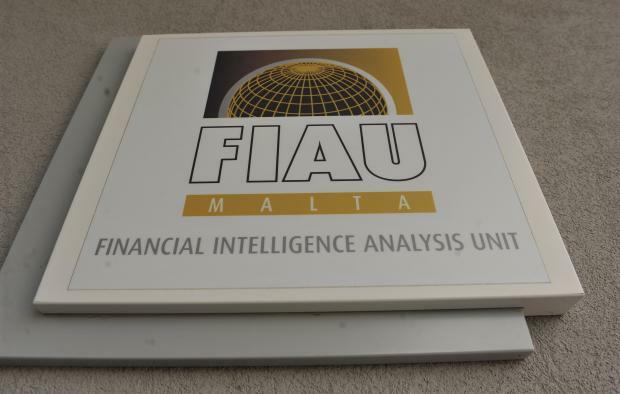 FIAU officials, accompanied by representatives of the Malta Financial Services Authority, had carried out an on-site inspection of the bank in March 2016 to assess its compliance with prevention of money laundering and funding of terrorism regulations. According to an FIAU report that was later leaked and even posted on the internet, the officials had flagged up a number of “serious shortcomings”. These shortcomings were brought to the bank’s attention in a letter sent to it on May 17, 2016. The FIAU then reviewed representations made by the bank, “particularly that the relevant customer documentation was available at the bank”. The FIAU’s Compliance Monitoring Committee carried out a follow-up examination, on August 8 and 10, 2016, to see if all relevant documentation “had in fact” been obtained by the bank. In its September letter, the FIAU said a significant amount of information and documentation not made available in March had been presented to FIAU and MFSA officials and, on the basis of that, the shortcomings that had been previously identified “no longer subsist”. The FIAU, however, expressed disappointment and concern that the requested documentation had not been provided to its officials during the March inspection. Such documentation, the FIAU noted, was only made available following its May 17 letter. Nevertheless, the FIAU said the issues it had previously raised “are now closed”. Among those issues were the lack of sufficient documentation to prove the legitimacy of certain funds and the ease with which politically exposed persons were able to carry out transactions without the level of scrutiny required by law, with the FIAU calling this a “veil of secrecy”. Politically exposed persons are politicians and other high-ranking officials who pose an increased money-laundering risk to institutions doing business with them. The FIAU had found that a lack of adequate scrutiny of PEP accounts gave the impression a blind eye was being turned to individuals to be able to invest funds without the appropriate questions being asked. The FIAU had also raised concerns about the impact these shortcomings could have on Malta, saying it exposed both the bank and the jurisdiction as a whole to a “high level of risk”. These shortcomings were eventually declared by the FIAU to “no longer subsist”. The FIAU report on Pilatus Bank.